And where there’s smoke there’s darkness. In a fire, disorientation, panic, and confusion quickly set in. 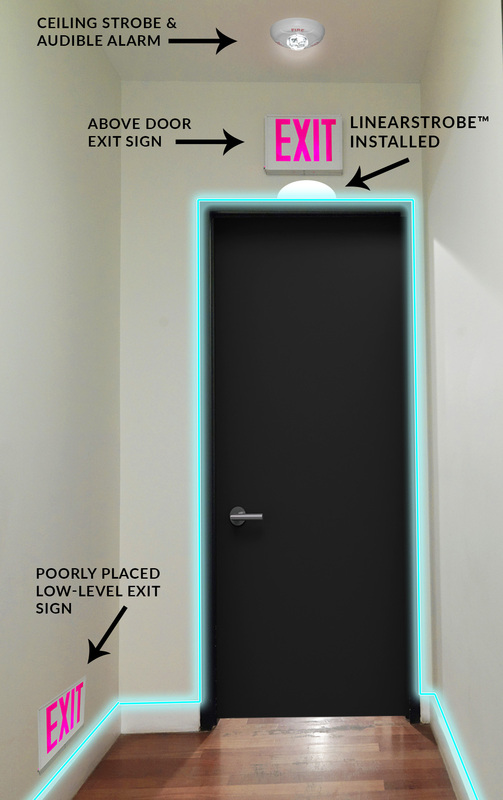 LightSaver’s LinearStrobe™ provides occupants, firefighters, and emergency responders the longest possible time to identify, locate and get to (and through) the exits in fire, smoke or other building or operation crisis. In a fire, you can’t see, you can’t breathe and smoke becomes deadly in seconds! Children and the Elderly are at the greatest risk in a fire. Even a very young child can recognize the universal shape of a door. What’s the value of a tool that may save your loved one’s life? We think it’s Priceless! “LightSaver* offers two major improvements to emergency signaling as required by law: the strobe light and the linear strobe which is visible at floor height. According to the thesis, we can conclude that just the strobe effect doubles visibility, based on the research by Edwin Galea (Professor Galea is the founding director of the Fire Safety Engineering Group (FSEG) at the University of Greenwich). 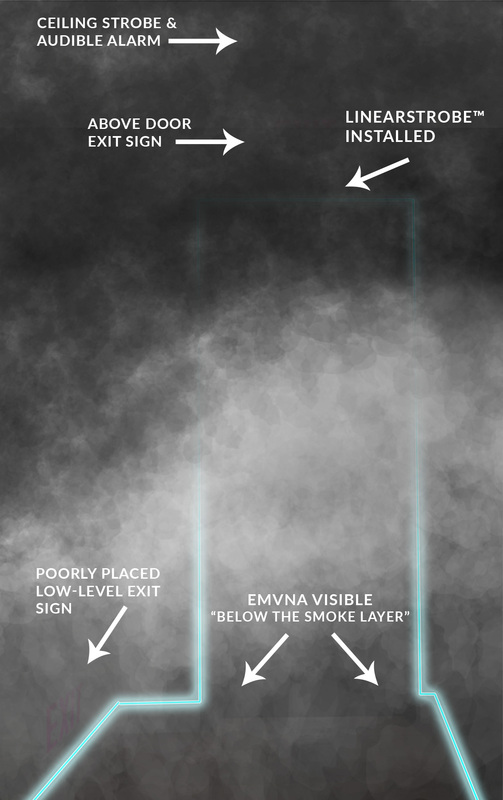 Above that, low-level lighting offers a major visibility improvement in situations involving smoke. 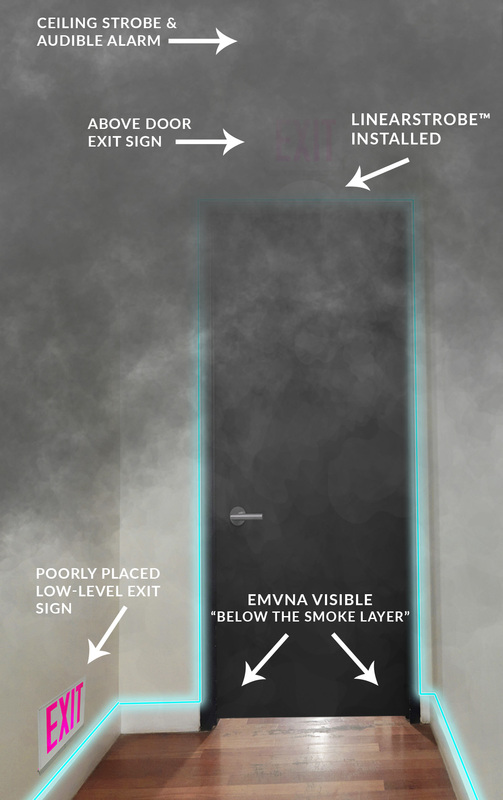 It is, therefore, safe to say that: While requiring limited investment; “LightSaver* more than doubles the chances of a safe evacuation in case of fire.” * Referring to the LinearStrobe™ Egress Marking Visible Notification Technology as a whole.